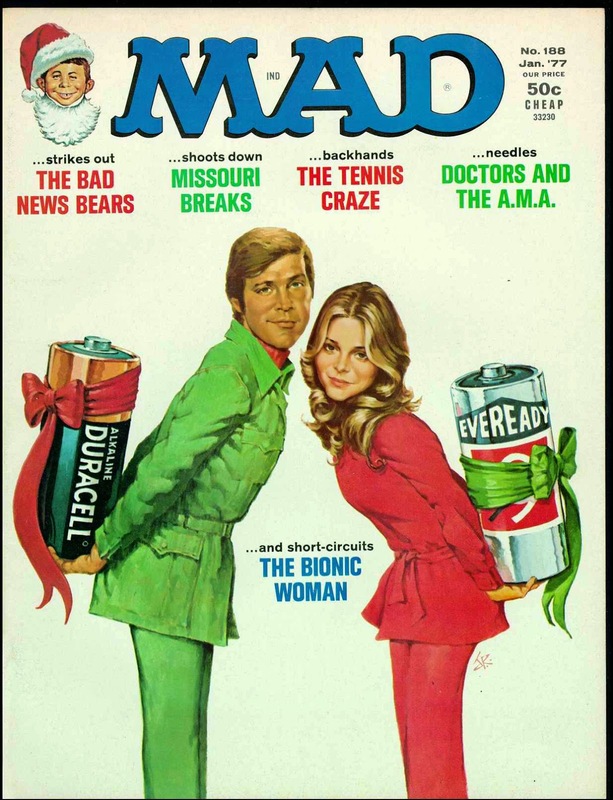 Like everybody else, I had a massive crush on Bionic Woman Lindsay Wagner in the '70's, and always ran around the playground in slow motion like Steve Austin. 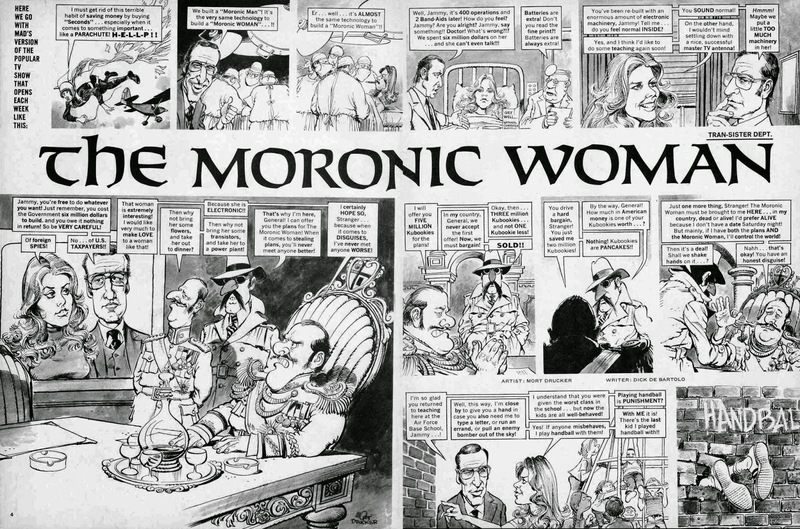 Mad, as usual, were having none of it. 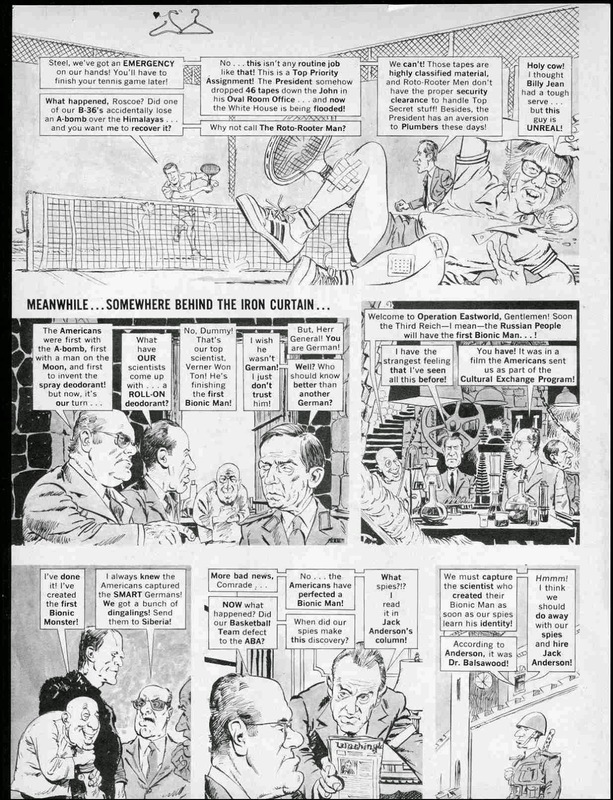 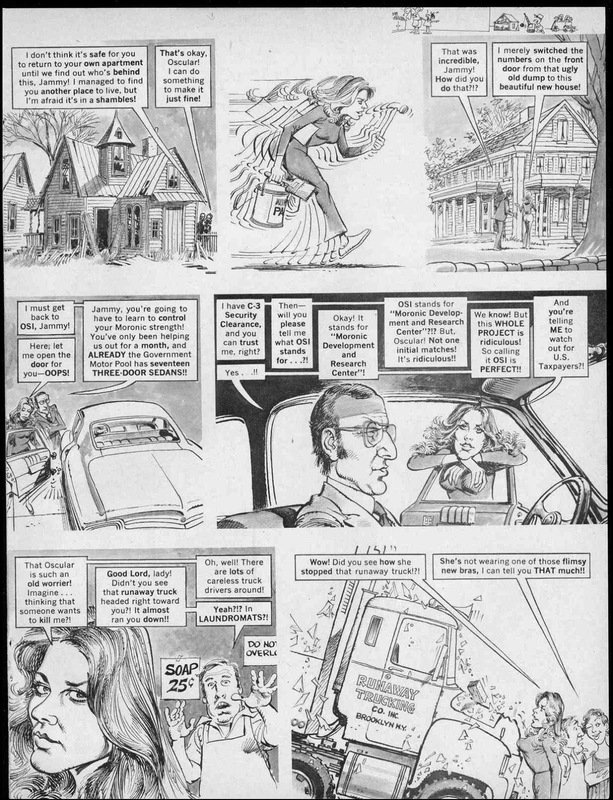 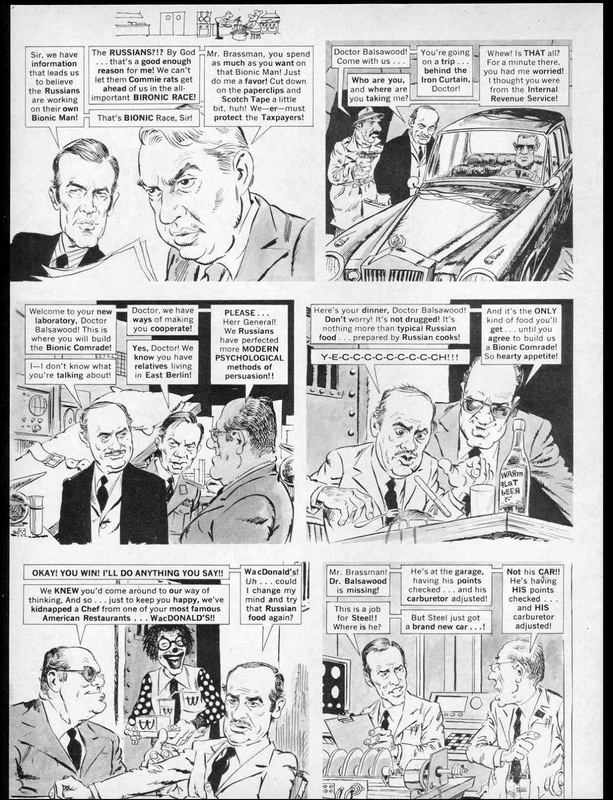 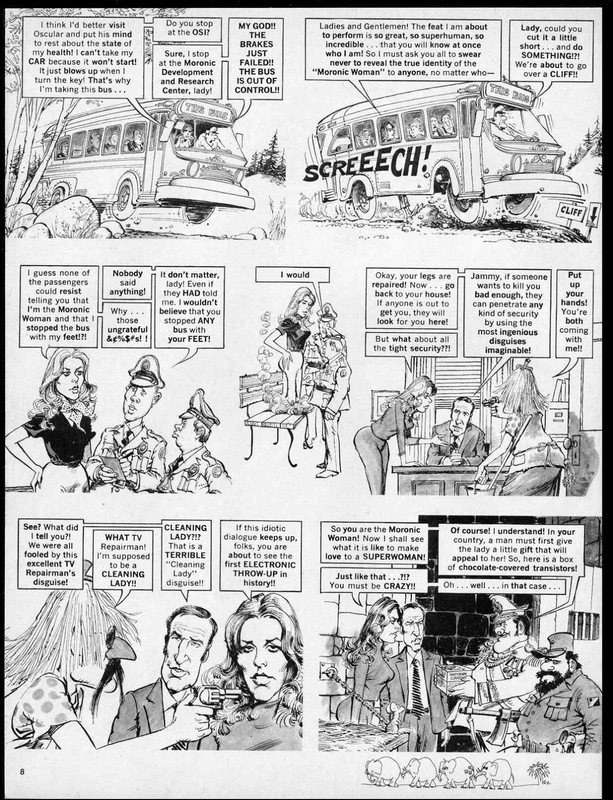 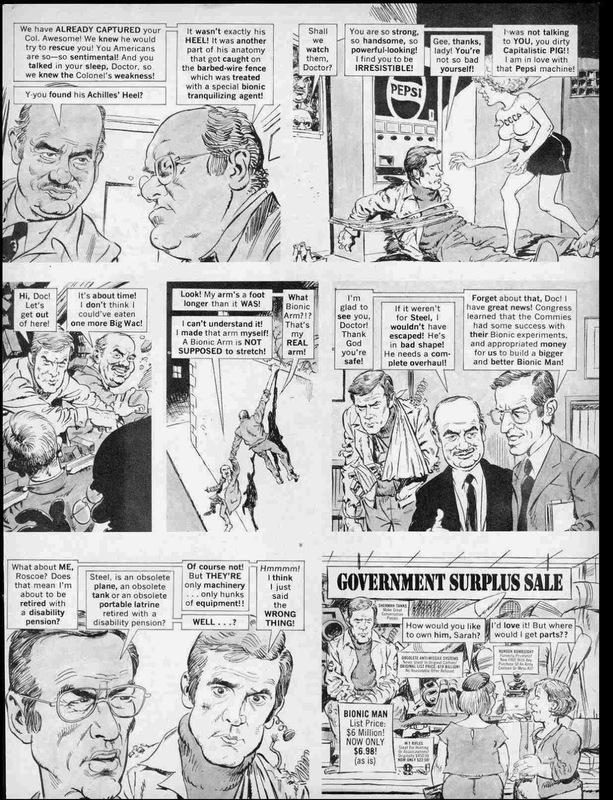 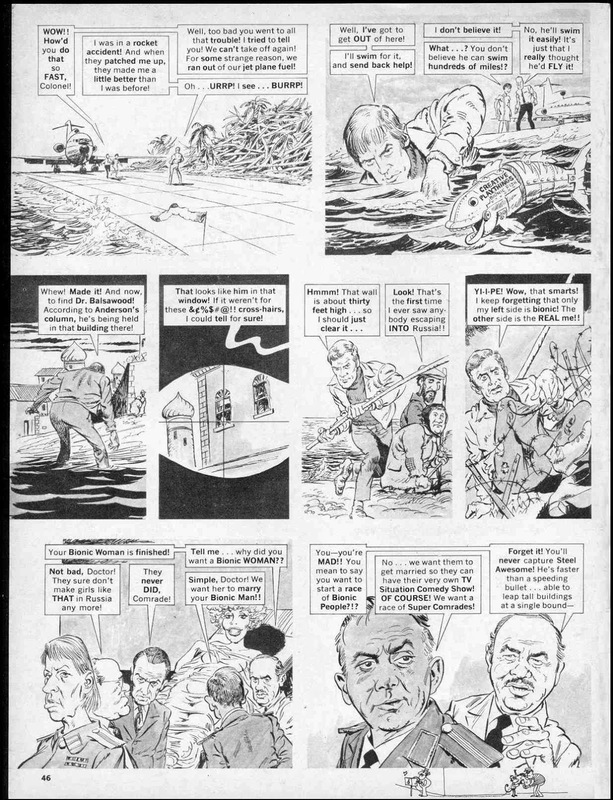 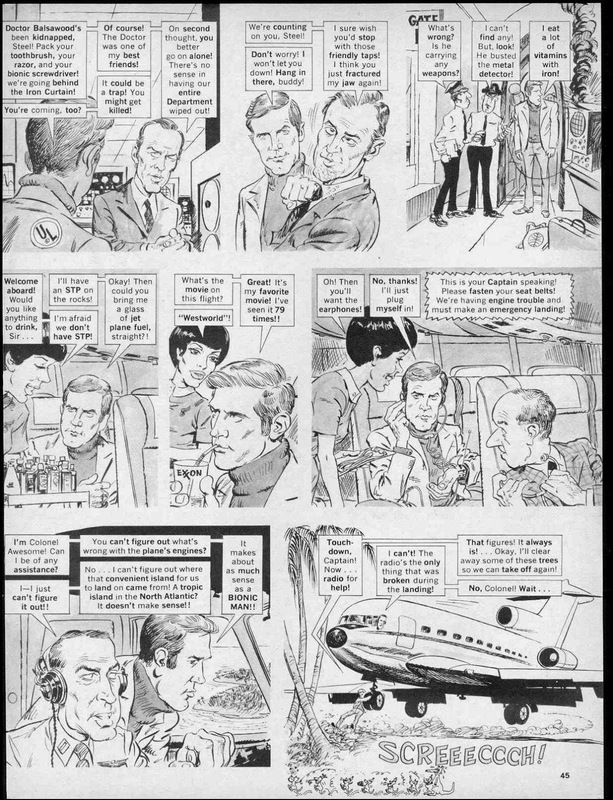 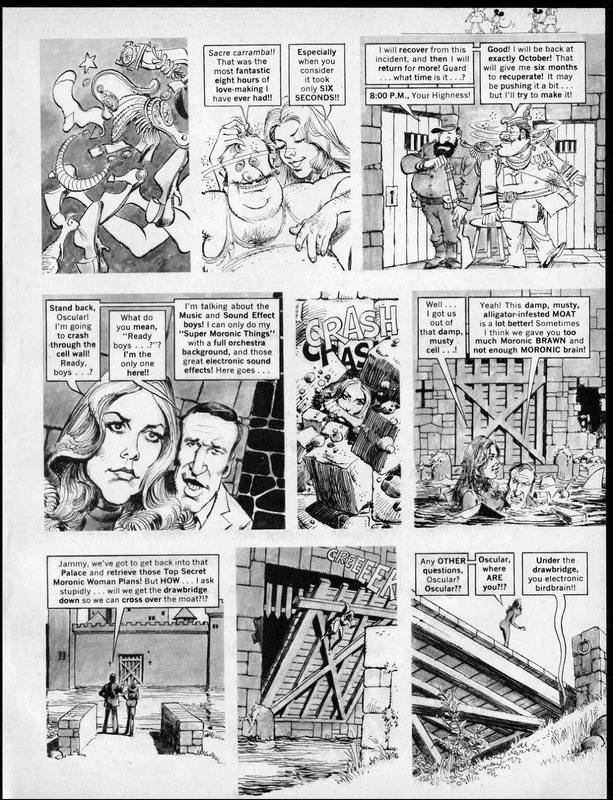 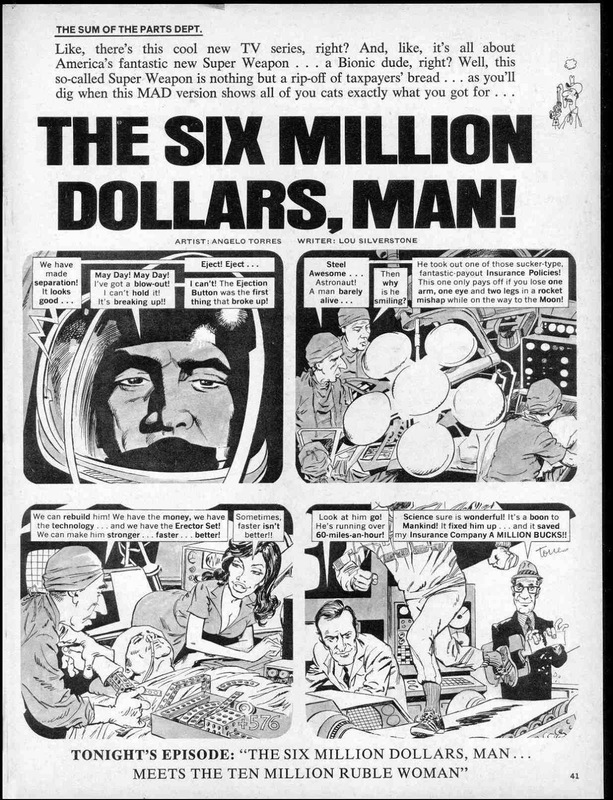 Unusual seeing Mort Drucker doing a TV parody from this time rather than a movie one. 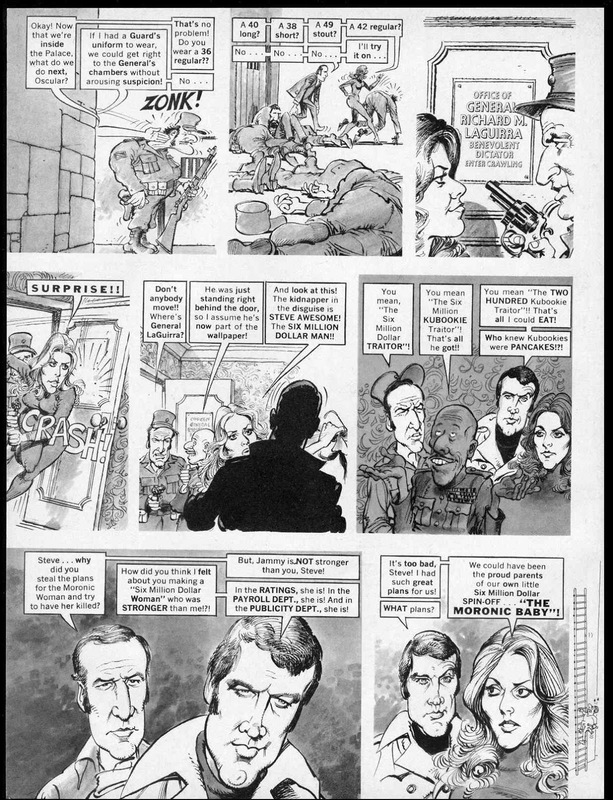 Angelo Torres usually did the telly ones. 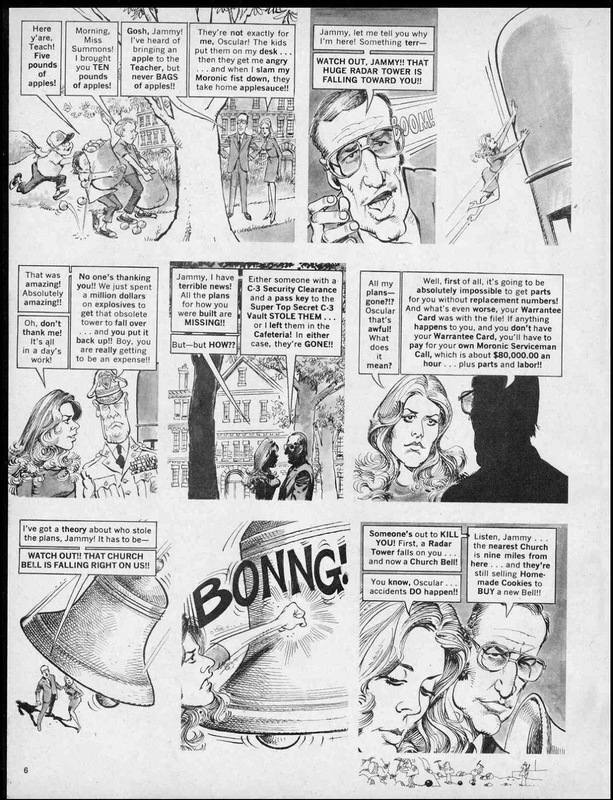 Torres artwork was ok, but he was no Drucker.